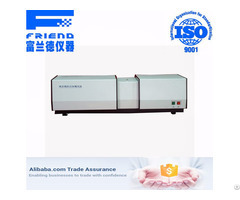 LPG Density Tester (Pressure hydrometer method) in accordance with SH / T0221-92, ASTMD1657 and ISO3993 "liquefied petroleum gas and light hydrocarbons of density or relative density assay (Pressure hydrometer method)" and other standards and measuring LPG light hydrocarbons. 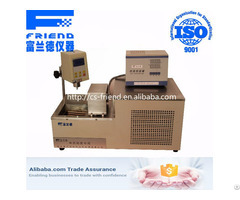 At the test temperature, the vapor pressure (gauge pressure) above the sample 1.4MPa should not use this instrument. 1. Three valves by 1Cr18Ni9Ti material can withstand 4Mpa pressure. 2. The cylinder is made of transparent plexiglass, metal end plates at both ends and neoprene gasket seal. 3. 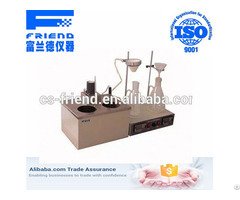 1Cr18Ni9Ti material from the water bath, electric heater installed in the bath and electric stirring device, automatic temperature control system, can meet the test temperature of 15 ± 0.2 ℃ or 20 ± 0.2 ℃. 4. The temperature control device with digital display, responsive, accurate temperature control. 5. 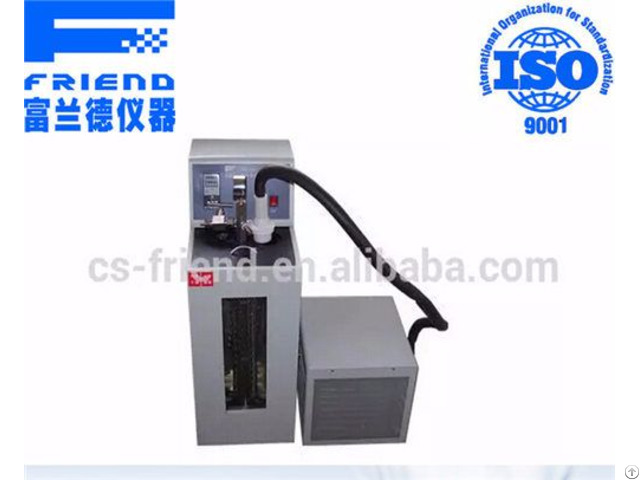 The agitator by the motor, stirring shaft, leaf composition, low noise, high efficiency.